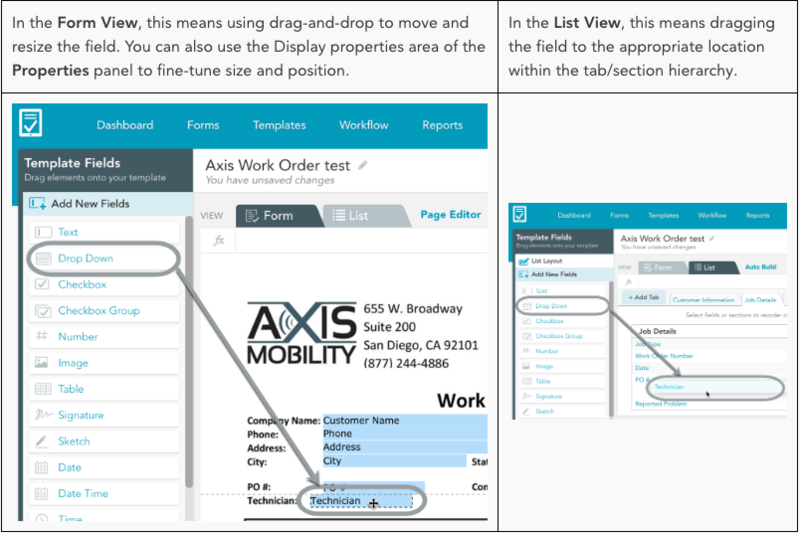 This article is a high-level overview of how to add a new field to your form template in the Template Editor, both in the Form View and in the List View. We use a simple Text field as an example. The following articles provide additional detail. 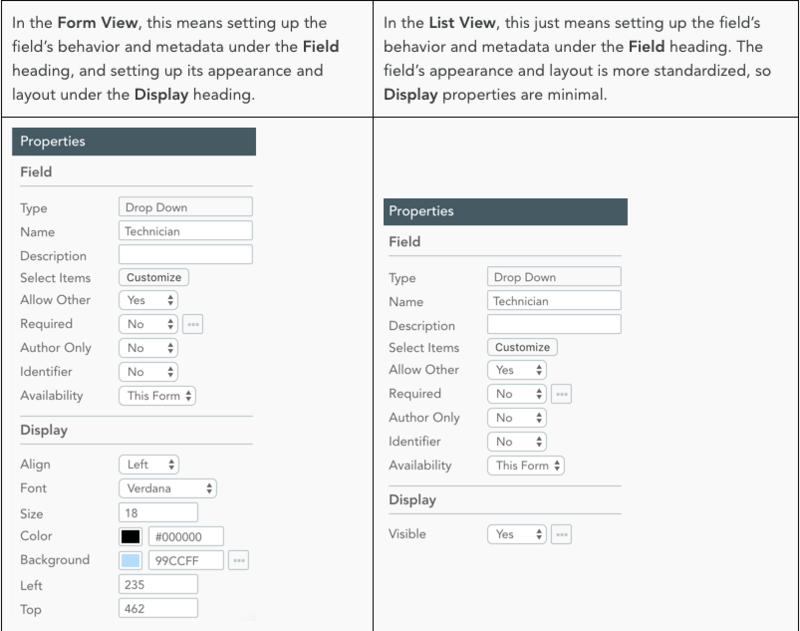 To add a field, simply drag it over from the Template Fields panel into the Template Builder, and size/position it as needed. To configure it, use the Properties panel to set the field’s Name and any other properties. See here for more on field properties. And that’s it, you’re done! Adding a table is a little bit different from other fields and is covered in detail here.